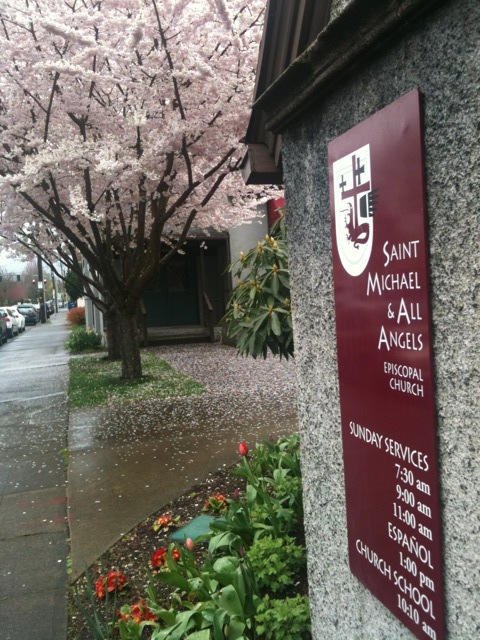 At St. Michael & All Angels, everyone is welcome to the Lord’s Table and invited to participate fully in the life of the community. Our mission is to continue Jesus’ ministry in the world. Engage and empower all our members to live out the promises and covenant of Holy Baptism. St. Michael’s has been blessed in many ways in its near 100 years. Early lay leadership developed into baptismal ministry. A thriving Sunday School Program for children and young people led to Christian formation opportunities for all ages. This in turn, supported the development of baptismal ministry. The parish has a tradition of carefully planned liturgy along with high-quality music of diverse styles. Parish staff and leadership approach the realities of an increasingly diverse community as an opportunity for evangelism and outreach. Share in the life of our community.